Recently Dock Street Signs had the privilege of working with Black Cherry designs, based in Wakefield. 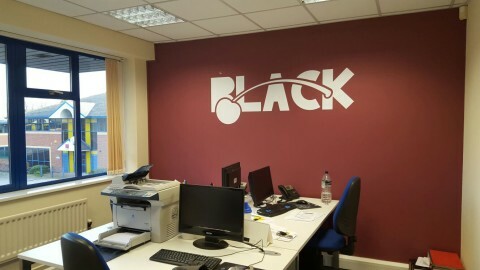 We had the task of producing some cut vinyl for their office. Black Cherry Designs create 2D and 3D designs using the latest technology to create scaled layouts and realistic visuals for your company. They specialize in planning commercial buildings that are being re-furbished and need design to match a brief. 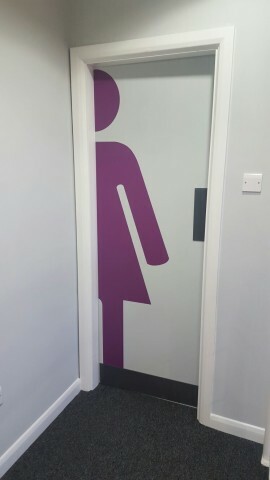 The vinyl we used matched Black Cherry’s striking colours and brand and really stood out in the office. 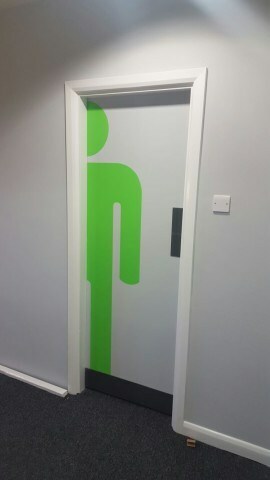 Our cut vinyl is available in a large variety of colours including metallic. Vinyl sticks well too windows and walls but is also easy and mess free to remove if needs be. It’s a particularly inexpensive, temporary signage option and is popular with new business’ displaying job vacancies or “coming soon” due to it being easy to remove. 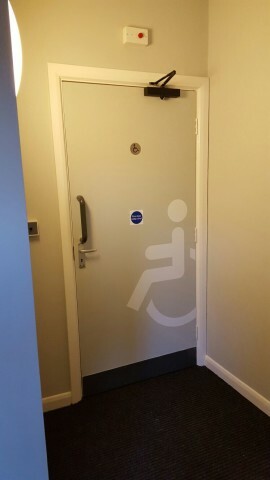 We also stock Etched or frosted vinyl, frequently used to create more privacy on large windows. Although cut vinyl is suitable for interior and exterior, we do recommend having it reverse cut to stick on the inside of windows; this not only prevents it getting dirty but also avoids the risk of it getting picked off! Here at Dock Street Signs we pride ourselves in being able to help you as much as possible in your journey through designing and making your signage. Our in house design team will make sure you’re 100% happy with your design before sending it to be made into the real thing. They can also advise which kinds of designs work the best for different signage options.